The Winter 2017 schedule for Antenna TV is now here! It begins on Monday, January 2, 2017. 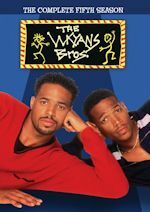 Coming to Antenna TV in January are What's Happening! 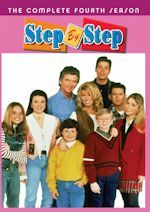 !, Becker, 227, My Two Dads, The Joey Bishop Show, Good Morning World, and The Patty Duke Show, while Circus Boy and The Adventures of Rin Tin Tin return to the schedule on Saturday mornings. 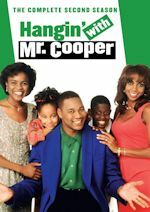 Get in on the gossip with Marla Gibbs, Alaina Reed Hall, Helen Martin, & Jackee Harry when 227 starts airing Mon-Thu at 9pm & 9:30pm ET & Sunday nights at 1am & 1:30am ET on Antenna TV. Watch Ted Danson in Becker, Monday - Thursday nights at midnight & 12:30am ET and Sundays at 6pm & 6:30pm ET on Antenna TV. Other timings include, What's Happening!! Mon-Thurs at 8:00pm & 8:30pm, My Two Dads Sundays at 11:00pm & 11:30pm, and The Joey Bishop Show weekdays at 1pm & 1:30pm, Saturdays 11:30pm-1am, and Sundays 9am & 9:30am. Good Morning World will air Saturdays at 1am & 1:30am, while The Patty Duke Show airs weekdays at 11am & 11:30am. Among the highlights of the schedule is a Friday night '70s block in primetime with One Day at Time from 8-9pm, Barney Miller from 9-10pm, leading into 90-minute Johnny Carson '70s episodes (now on Fridays and Saturdays as 90-minutes) from 10-11:30pm, Maude follows from 11:30pm-1am into Good Times from 1-2am. 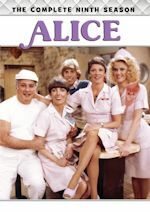 Other moves include Family Ties now only Sundays at 12am & 12:30am, Three's Company only airing Mon-Thu at 3:00am & 3:30am, but The Ropers and Three's a Crowd are back on their own Sundays 10am & 10:30am. And that's just some of the changes, because the whole schedule is pretty much all-new in timings, so please view the Antenna TV Winter 2017 Schedule! 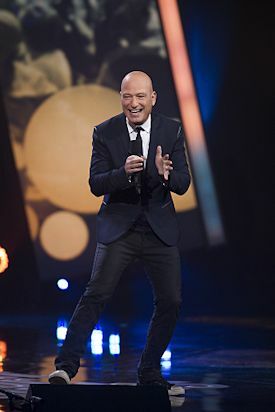 For the second year, in a strategic partnership with Just For Laughs, The CW Network announced the brand new primetime comedy special, The Howie Mandel All-Star Comedy Gala. Featuring stand-up performances from today's comedic heavyweights such as Jay Pharoah, Iliza Shlesinger, Russell Peters and JB Smoove, this special will premiere Monday, January 16, 8:00-10:00 pm ET/PT on The CW. Recorded at the biggest comedy event in the world, the Just For Laughs Festival in Montreal, and hosted by Howie Mandel, this primetime special also showcases performances from Alonzo Bodden, Jo Koy, Matt Donaher, Ryan Hamilton, Gina Brillon and Tom Papa. Additionally, as Just For Laughs prepares to celebrate its 35th anniversary this year, the special includes comedians paying tribute to some of their favorite comedians from the festival over the past 34 years, such as Amy Schumer, Jim Gaffigan and Wanda Sykes. Also back with new episodes on CW Seed, The CW's digital network, The Elevator Talk Show with new host Nick Thune is all the late-night talk show you can cram into an eight-foot box. Hosted by comedian Nick Thune, guests on this season of The Elevator Talk Show include John Mulaney, Hannibal Buress, Lauren Lapkus, Scott Aukerman, Tone Bell, Noel Wells, and Blake Griffin, all recorded at the Just for Laughs Festival and all inside one very crowded elevator. The new episodes will debut on CW Seed later this month.